Neymar Jr. has created history following his €222m move from Barcelona to Paris Saint-Germain, smashing the last world transfer record set just 12 months when Paul Pogba joined Manchester United. The 2017 chapter started on 18th July when Catalan publication Sport claimed that Neymar was 'uncomfortable' at Camp Nou ahead of his fifth season with Barça. It was suggested that the player was increasingly listening to those telling him to look elsewhere, to escape the shadow of Lionel Messi and claim a Ballon d'Or, the coveted but elusive prize still missing from his decorated trophy case. "You can't be FIFA World Player of the Year if you're not even the outstanding player in your own team. I think it's absolutely no coincidence that this speculation has emerged shortly after the news that Messi has signed a new contract with Barça." An exclusive from Esporte Interativo in Brazil quickly then had the football world in meltdown after it was claimed that Neymar had 'accepted' an offer from PSG as it became clearer that the six-time French champions were prepared to trigger the €222m release clause in his Barça contract. This was it, the first genuine indication that Neymar could quit the club and there was nothing that anyone at Camp Nou could really do to stop it. Barcelona players reportedly tried to get him Neymar to change his mind and stay. The Spanish media revealed that Gerard Pique, Luis Suarez and even Messi himself were trying to convince the former Santos prodigy not to go ahead with it. 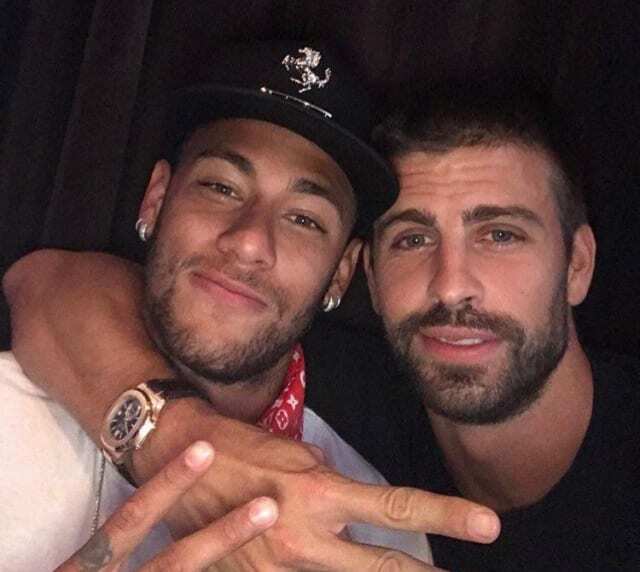 For a moment it actually looked as though Pique had been successful when the defender tweeted a picture of himself with Neymar along with the caption 'he stays'. But it later transpired that was merely Pique's own hope rather than a confirmation. More recently, Sport cited a source in the dressing room to suggest that Barça had actually become 'completely sick' of the Neymar saga. Whether he was to stay or go, they wanted it over one way or another. Sport's source said, "Neymar could have made much less of a big deal over his decision and not make it into a public spectacle", leaving the some members of the squad worried that he had damaged the club's image while on tour of America. “We want him to continue, continue with us. He still has four years on his contract, there is nothing else to say. You know that players decide if they want to leave, they can decide. But as far as Barcelona, we want him, and we need him." "I say that football can change a lot, it can be very dynamic. So if any player wants to leave, he isn't comfortable, paying the clause can allow him to go to another team." With tensions seemingly running high, Neymar became embroiled in a training ground bust-up with new Barça right-back Nelson Semedo during a pre-season session in the United States. In the days after Neymar was reported to have 'accepted' the contract proposal, it was all about how PSG would put together the money to trigger the release clause. Having already fallen foul of Financial Fair Play Rules in the past, it was something that could not be ignored. Barcelona were apparently going to report the club to UEFA, while La Liga chief Javier Tebas threatened it too. There was even a story that Real Madrid would happily delay receipt of payment for Jese Rodriguez's 2016 move to Paris, allowing yet more of PSG's 2017 budget to be spent on Neymar. This is the first time that a French club has broken the world transfer record. It has previously been the near exclusive domain of English, Italian and Spanish sides since the first recorded transfer of £100 or more took place in 1893. In the years since, Falkirk from Scotland (1922) and River Plate from Argentina (1932) are the only two clubs to have come from outside the dominant three countries...until now. 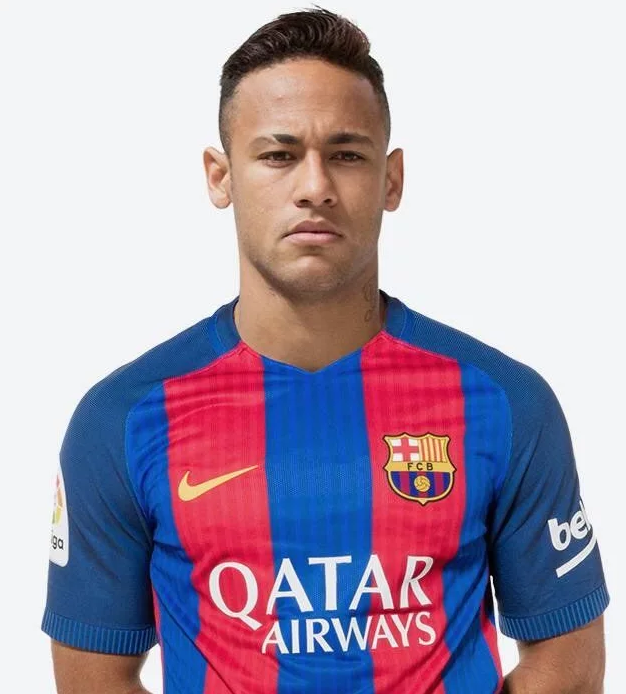 Crucially, for a club short on readily available cash in the last few years, the money from the enormous Neymar deal should at least provide Barça with the funds to make things happen in the market for themselves. The two obvious players are Marco Verratti and Philippe Coutinho. Verratti has long been a Barcelona target and is himself believed to be keen on making the move. PSG have so far refused to negotiate, but would Neymar heading to Paris make them more or less willing to co-operate? In spending so much on Neymar, would they have to make a large sale to ensure they remain in line with UEFA's Financial Fair Play rules? If Barcelona were willing to spend €60m or €70m on Verratti anyway, the Neymar lottery win could allow them to spend €100m without much worry. Then there is Coutinho. Liverpool are reported to have rejected at least one bid totalling €80m so far and seem determined not to sell a player who signed a new long-term contract just last season any price. But again, if that figure starts to climb and reaches €100m (£89m) or more, well surpassing the fee that Barça previously paid for former Anfield favourite Luis Suarez in 2014, might their stance begin to soften? And What For Neymar Himself? The answer is simple, become the main man. For Neymar, this is the chance to escape Messi's shadow, to establish himself as the superstar in his new team...to become the best player in the world. Winning the Champions League, something PSG have never done before - they last reached the semifinals in 1995, would be the perfect way to begin. It's a very big ask, but if Neymar can manage that and follow it up with World Cup glory for Brazil in Russia next summer, there is no way that he won't have his hands on both the Ballon d'Or and FIFA Best Player awards by January 2019.